Exactly How Clean are Our Dishes? 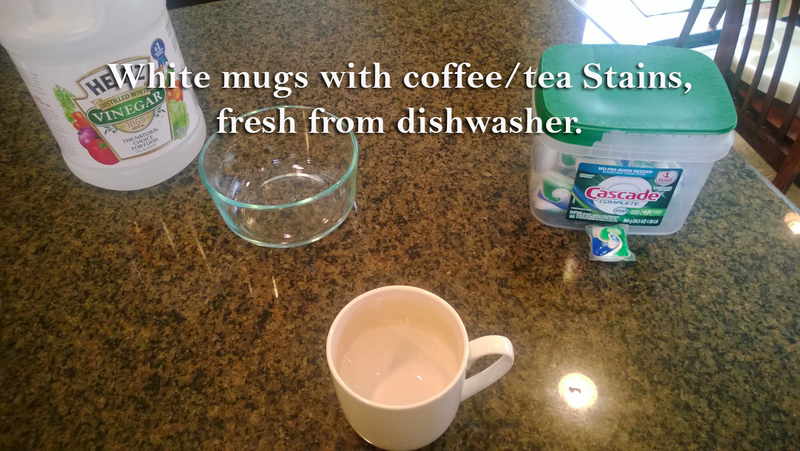 Here is a picture of what my mugs look like when they come straight out of the dishwasher. Now, I’ve had these cups for several years. The stains have evolved over time. Recently I’ve noticed all of my mugs have stains on them. That is when my husband told me that he had something soaking in vinegar in one of the cups and the stains came right off. I didn’t believe him. So I tested it out. Here is my test video. My Mug Cleaning Demo on YouTube. 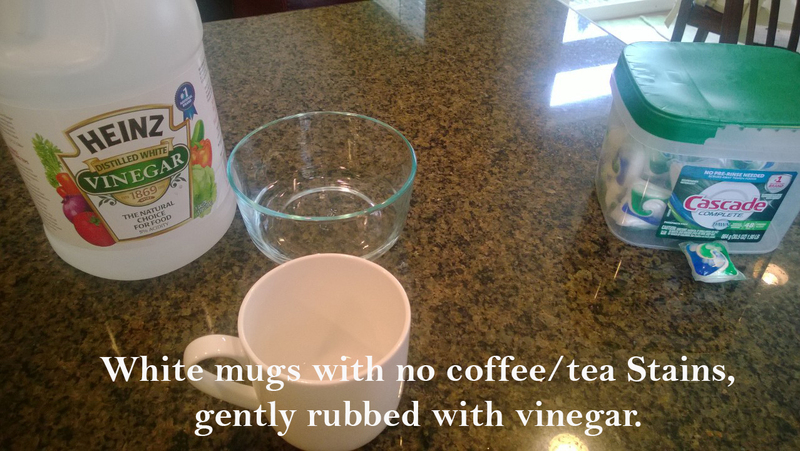 It was as simple as rubbing the stains, rather gently, with white vinegar. They came right off! Here is the after picture. I’m not sure I can trust my dishwasher anymore. I know this will always be in the back of my mind when I eat off anything straight from the dishwasher. Are my dishes actually clean? Daydreamer. Writer. Mommy Blogger. I write about things I find amusing, irritating, and thought provoking. Oh, and food.